Lady Jardin - Vintage Views of the South Coast: My fever first Sewing Machine! As you may have gathered from my posts about being a Sewing Machine Junkie here and again here, I love my sewing machines. And I had nearly forgotten what started it all off; my very first, battery powered sewing machine. And here I am, having my very first go! 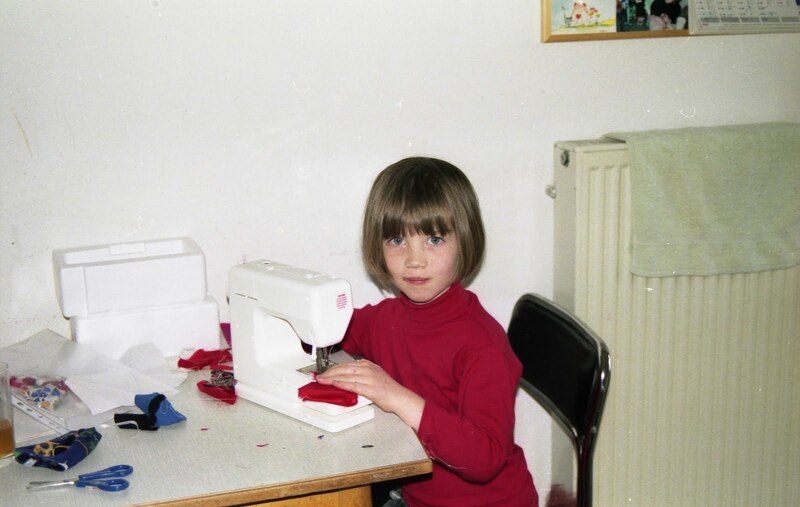 Mum's sewing machine was always far too scary and fast, this one provided me with endless hours of fun making clothes for my Barbies and bears. 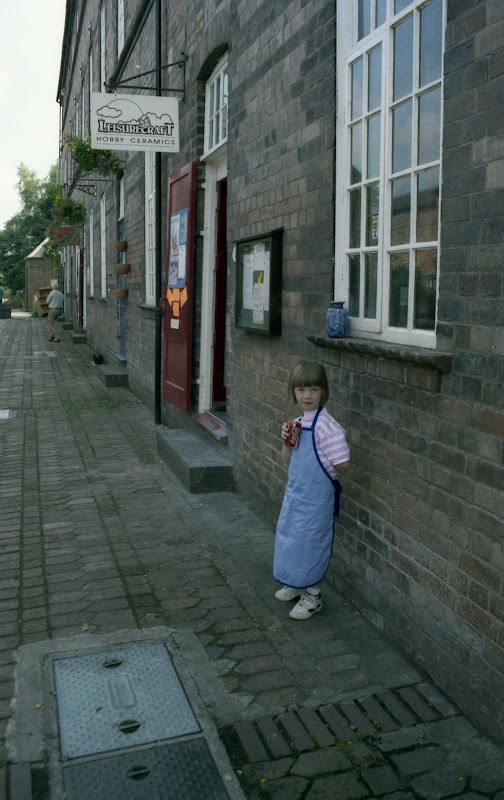 Here's one of me trying to be the cool kid hanging out after my first pottery lesson. Not that I continued it for long, hah. I wasn't very good. I've you look closeley enough, that blue 'vase' on the window ledge was made by me! Or rather painted by me ;) My parents still have this in the living room...cringe! And now some evidence of the early blogger in me. POSER!!! 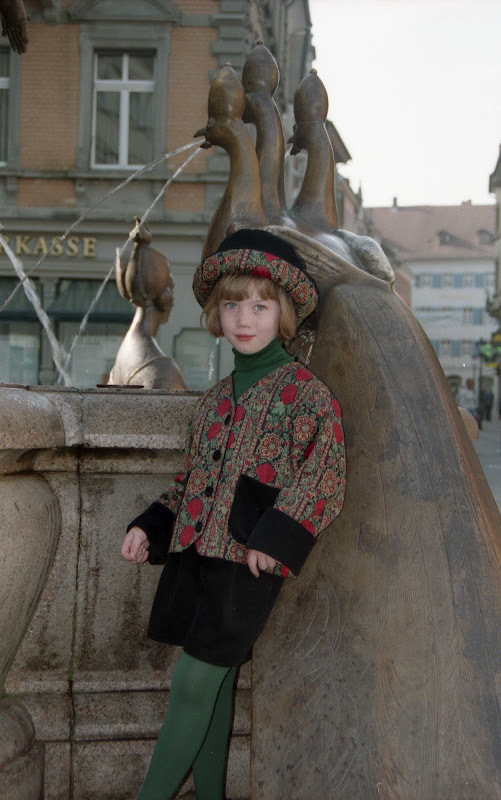 These were taken for my Mum's children's clothes catalogue when we were living in Germany. 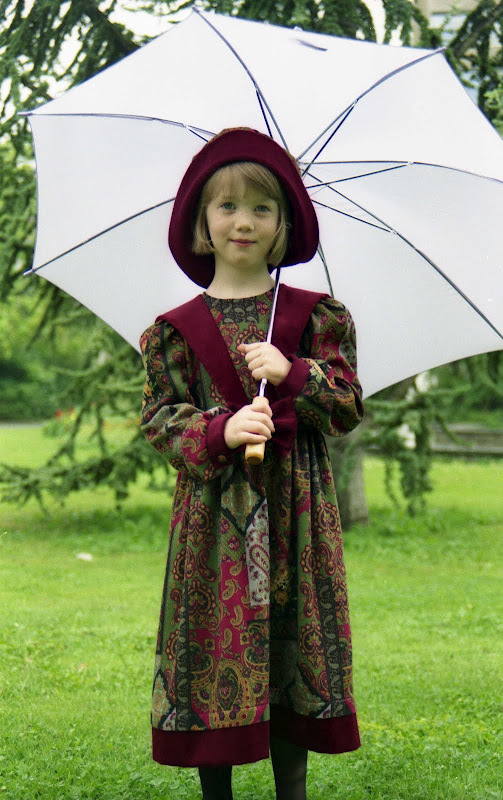 Posing from an early age, and kinda in Vintage-style outfits....The Mister recons I look like a Medieval child in the one with the umbrella...I'm sticking with Edwardian themed flavours! All brings back many happy memories, and is making me want to go see my parents and trawl through the folders upon folders of photographs...I may be a while! An early start - sewing, pottery, posing...! I think I might have taken photo 2 in Ironbridge on your first trip back to the UK possibly 18 years ago!!! So sweet! 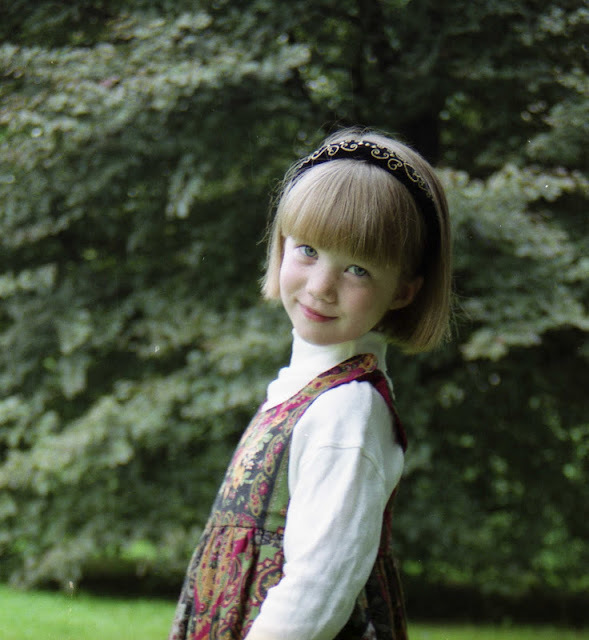 I spotted an old photo of me at my parent's house recently - I don't know how old I am but I'm pretty small - and I've got the posing genes happening already in that picture with my hands behind my head and an attempted pout... So funny!